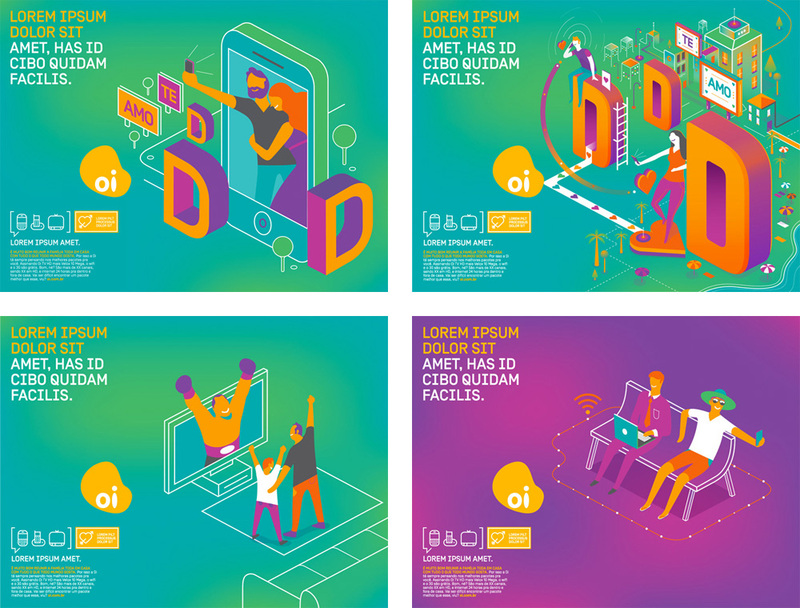 Established in 1998, Oi (which means “Hi” in Portuguese) is the largest telecommunications company both in Brazil and South America, with 74.7 million customers. Oi offers cable TV, cellular and landline phone, and internet. 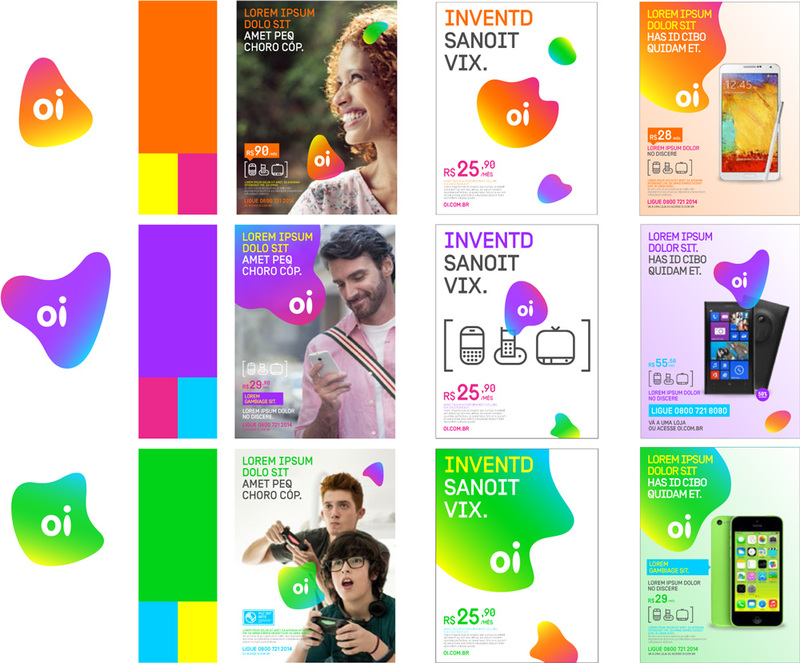 Perhaps most of us (specifically those living outside of Brazil) know Oi as one of Wolff Olins’ popular projects and one of the earlier entries — 2001 — in the flexible identity approach. This new iteration has been designed by both Wolff Olins and the Sao Paulo office of Futurebrand. (How that worked, who knows). You can see the full identity guidelines for the new logo here (PDF). 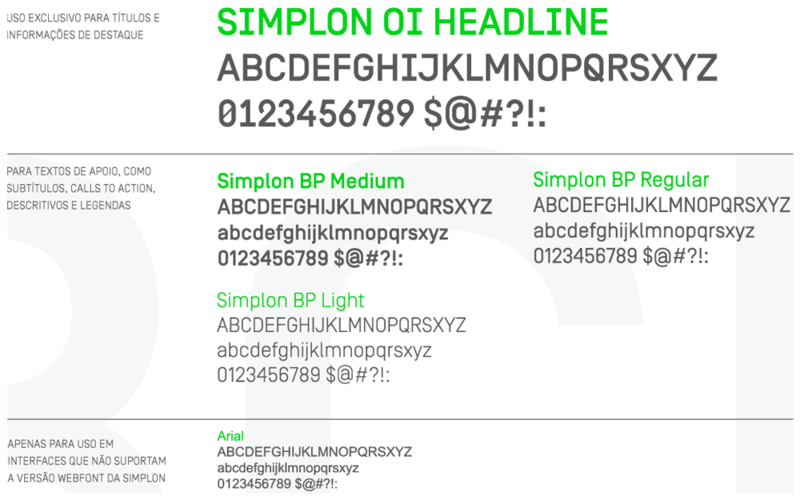 The old logo also came with variations — a paltry six according to this copy of the old identity guidelines — and established its consistency through the “oi” wordmark that seen on its own is a couple of graphically unrelated letterforms; the “o” is one thing and the “i” is another, structurally and aesthetically speaking. Not that it matters much now, after 15 years of use and perhaps another 15 given that Oi has doubled down on the original premise and multiplied its logo variations and color combinations by 10. The new range of wobbles range from the normal in the upper-left corner of the grid of logos shown a few scrolls up to the nearly comical in the bottom-right, all in a “restrained” palette of three gradients. It’s a logical next step but, more than that, it’s a welcome case of a company sticking with its identity and not changing it for change’s sake. 15 years later, it would have been easy for someone in power at Oi to get bored or want to make a statement and order up a change. I appreciated the relative simplicity of the old system but I also like this a lot, it’s like the old system went off the hinges just short of Britney-Spears-head-shaving crazy. And that’s a good place to be. Sample ads with illustrations by João Lavieri. TV spot. Not sure what’s going on but you can see the icons in use and logo animation at the end. In application, the identity mixes all of its identity elements — techie-looking typeface, icons, and blobs — in various ways to keep the identity flexible yet cohesive. At times it’s hard to focus your eyes on anything specific in the sample ads but I guess that’s part of the appeal, to be somewhat of a visual onslaught. Oi was an uncommon identity in the early 2000s but with more brands being more visually expressive, its weirdo patina has wore off slightly so Oi has sprinted forward once again and established some distance between other brands and theirs. Thanks to Rodrigo Saiani for the tip. 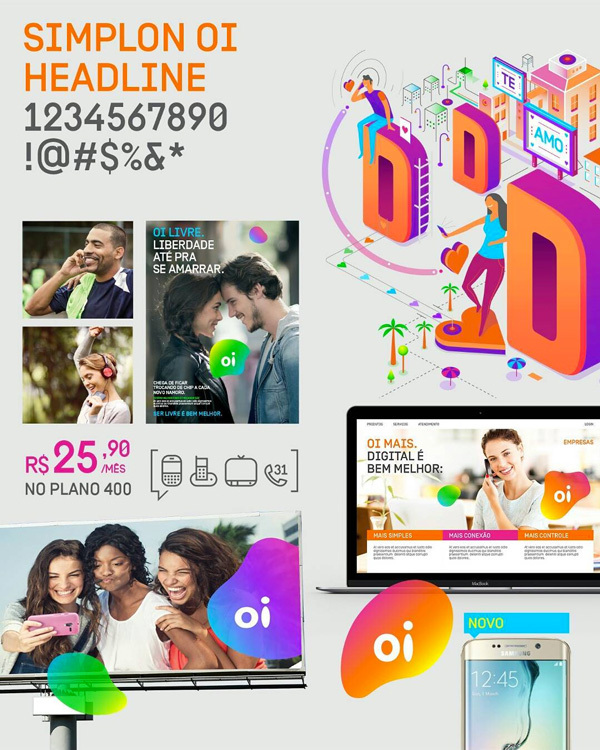 Established in 1998, Oi (which means \"Hi\" in Portuguese) is the largest telecommunications company both in Brazil and South America, with 74.7 million customers. Oi offers cable TV, cellular and landline phone, and internet. 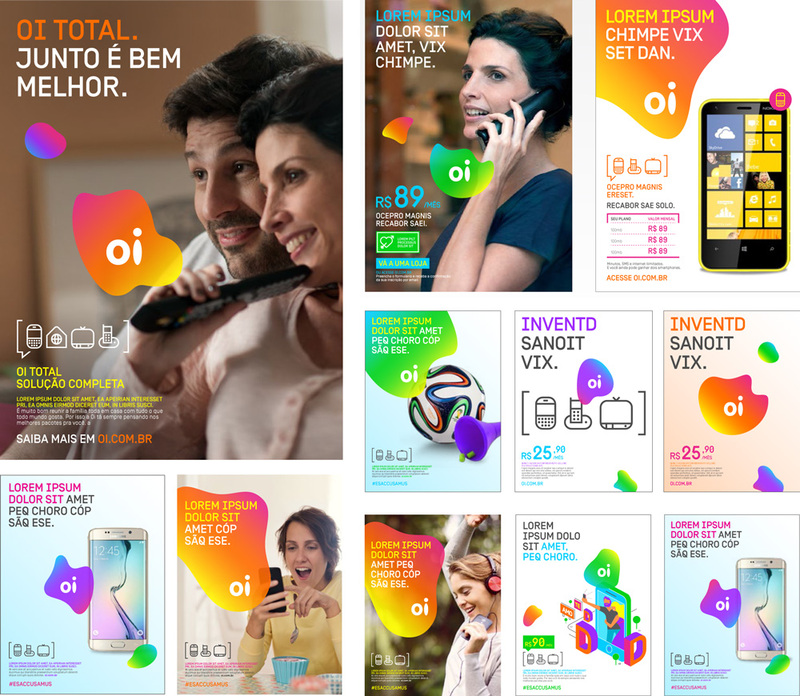 Perhaps most of us (specifically those living outside of Brazil) know Oi as one of Wolff Olins' popular projects and one of the earlier entries -- 2001 -- in the flexible identity approach. This new iteration has been designed by both Wolff Olins and the Sao Paulo office of Futurebrand. (How that worked, who knows).